The passage of DERA is a significant environmental and political accomplishment for the U.S. Congress. The House and Senate have proved that bipartisanship can be attained on major environmental initiatives,” said Allen Schaeffer, the Executive Director of the Diesel Technology Forum (DTF). 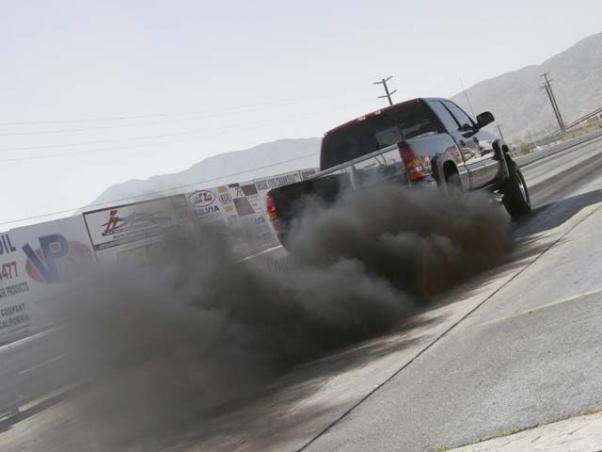 The Diesel Emissions Reduction Act (DERA) now just needs President Obama’s signature for the bipartisan legislation to be reauthorized for five more years as the U.S. House of Representatives approved DERA this morning by a voice vote. The U.S. Senate had unanimously approved the legislation on December 16th. President Obama is expected to sign the reauthorization into law. DERA (H.R. 5809) is a five-year reauthorization of the highly-successful program created in 2005 to establish voluntary national and state-level grant and loan programs to reduce diesel emissions by upgrading and modernizing older diesel engines and equipment. The bipartisan legislation was introduced on November 18th by U.S. Senators George Voinovich (R-OH) and Tom Carper (D-DE) and cosponsored by several of their colleagues including Environment and Public Works Committee Chair Barbara Boxer (D-CA) and Ranking Member James Inhofe (R-OK). The House sponsors were U.S. Reps. Doris Matsui (D-CA) and Laura Richardson (D-CA). DERA is being supported by a unique and diverse coalition of more than 500 environmental, health, industry, labor and government organizations. The Diesel Technology Forum is a non-profit national organization dedicated to raising awareness about the importance of diesel engines, fuel and technology. Forum members are leaders in clean diesel technology and represent the three key elements of the modern clean-diesel system: advanced engines, vehicles and equipment, cleaner diesel fuel and emissions-control systems. For more information visit http://www.dieselforum.org.